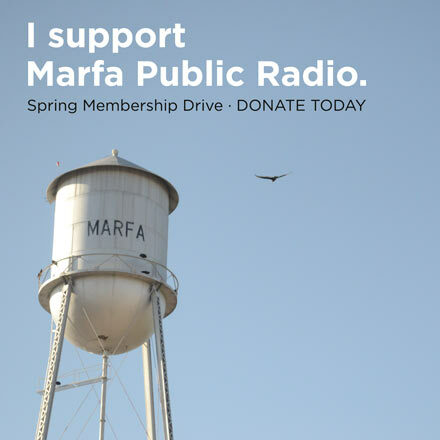 On this edition of West Texas Talk, a conversation with Marfa Live Arts Board President Nina Martin and Curator Jennifer Burris Staton about the details behind his year’s Marfa Sounding, happening Memorial Day weekend. 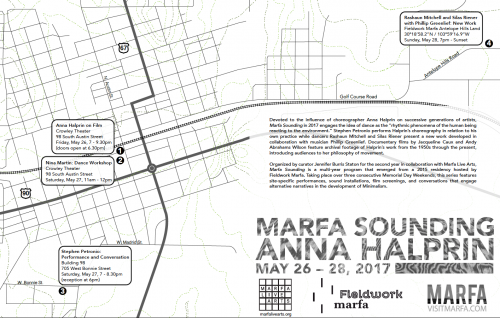 This concert series emerges from a 2015 residency hosted by Fieldwork: Marfa – An international research program for emerging artists, curators, and researchers sponsored by two major European art schools. Marfa Sounding is also produced by JD DiFabbio with support from Cate Cole Schrim. This entry was posted in and tagged anna halprin, lower left, marfa live arts. Bookmark the permalink.